Ready to snag the big bucks? Try the long game. We’re talking about budgeting. That’s right. Tell your money what to do month after month, year after year, and you just might be rolling in it soon enough. Of course, the long game requires some serious patience. And it can be tough to keep that financial drive alive. We’re here to help. No matter where you find yourself on your budgeting journey—totally green or managing your green—we’ve got a few tips and tricks to bring back the motivation. Most folks—us included—don’t wake up early, excited and ready to create a new budget. No, the majority of people who budget consistently do so because of the happiness and peace budgeting produces in the long run. We power through this additional task of adulting knowing the reward is worth the work. Unfortunately, it can be challenging to hold onto that knowledge in the day-to-day craziness of life. We become tempted to choose activities that are fun right now or mix up our priorities with our fantasies. As a result, our budgeting—the key to financial peace—takes a back seat. Beat motivation to the punch: If you lack the excitement needed to stick with your budgeting goals, decide today to become your own Energizer Bunny. Whenever motivation wanes, take action to recharge your battery and live off that energy until you need another boost. 1. Surround yourself with people who respect your budget. If you hang out with senseless spenders, you’ll be tempted to do the same. Like-minded folks act as living reminders of your money goals. Plus, they’re great resources when you have a question or need a little accountability. You might aim to create your first budget, follow your budget for three months straight, or track your spending for a solid week. Whatever the goal, when you reach it, celebrate! 4. Create a list of rewards that don’t hinder your goals. Yes, we just said to celebrate your budgeting victories—but a shopping spree as reward for one week of careful, tracked spending is taking one step forward and a giant leap back. Come up with a few super-thrifty options that won’t bust your budget. 5. Make your goals visual. Go “middle school” on this thing! Clip out pictures from your favorite magazine or spend some time doodling. Express your hopes on paper and put that visual reminder up where you’ll see it each and every day. 6. Put your budget to the test. Ask your budget to do something you never thought possible—something like paying off your smallest debt or saving to pay cash for a new pair of shoes. Then challenge yourself to make it happen. 7. Fill your ears and eyes with helpful content. 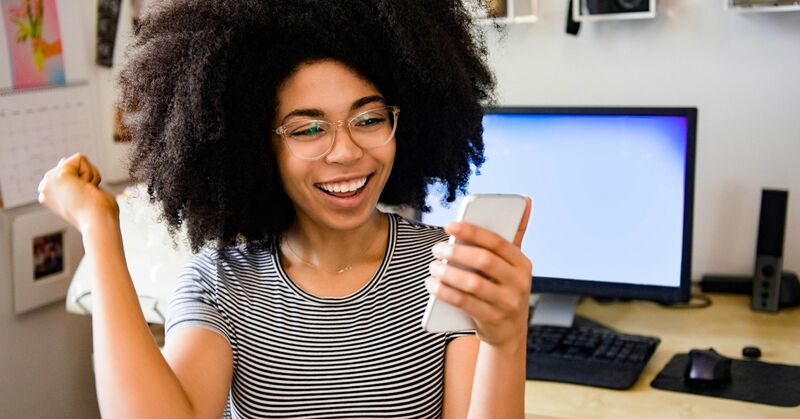 Read books, listen to podcasts, and watch shows with sound financial content for fresh ideas, friendly reminders, and general encouragement to stay the course. Try the EveryDollar blog, The Dave Ramsey Show or The Rachel Cruze Show. 8. Keep a budgeting journal. Every three months, or at the start of each season, check in to see how you’re doing. You’ll be able to look over your notes to see how far you’ve come. You might want to track your total debt, savings, and even your comfort level with budgeting. 9. Plan activities that add value to your life without taking away from your budget. This tactic is especially helpful when you feel an urge to cheat on your spending plan. Schedule a game night with friends, take your kids on a morning hike, or enjoy a movie night at home with your spouse. 10. Treat each money decision as an individual decision. Because, well, it is. It’s easier to feel in control on one simple choice than a lifetime of choices. Before you swipe your card or put an item in your cart, ask yourself, Is this the right choice for my money now? 11. Call yourself a budgeter. The decisions you made yesterday don’t have to determine today. Instead of thinking, I blew my budget last night. I’m such a reckless spender, tell yourself, Yeah, I slipped up, but today I’m getting back on track because I’m a budgeter. 12. Develop a standard response to spending urges. Maybe when the spending bug bites you go outside, watch a Jimmy Fallon clip on YouTube, take a long bath, read a good book, cook a challenging new recipe, or do a chore while listening to your favorite podcast. Find healthy ways to remove yourself from inevitable spending temptations. 13. Track expenses like you track social media. Better yet, put them together! Before you open Instragram, hop on the EveryDollar app to update your spending and do a quick check-in on your budget. Then scroll through your feed for all those friend, food, and celebrity updates. 14. Define your why and make it personal. What brought you to the idea of budgeting? What are you hoping to accomplish? Dig deep and be honest about the reasons behind your desire to take control of your money once and for all. Remembering the why will help you stick with the how. Maybe budgeting month to month is a breeze, but you’re having trouble staying focused on bigger money dreams like paying off debt, paying off your home, or saving for retirement. 1. Split big goals into smaller goals. Simple enough, right? Let’s say you’ve been paying extra toward your mortgage for a while and you still owe $60,000. Why not break that total into three distinct increments with a big reward at the end of each? The smaller goal of $20,000 seems much less daunting and is a huge step closer to your overall goal. Wherever possible, put your goals on autopilot. Set up auto-drafts that send money directly to your retirement accounts, mortgage company, or lenders. By never seeing the money in the first place, you’re less likely to miss it—and more likely to feel a welcome surprise at your progress along the way. Know that, most likely, a season of burnout is headed your way. Go ahead and decide now what you’ll do when it comes. You might plan to give yourself a small break—say one month of pulling back on aggressive money management—before diving right back in. Any time you set a goal—decide to make a life-change—you’re going to hit some hardships along the way. But that doesn’t mean you give up! Even when your motivation’s low, you can still do this. And you aren’t alone! Plenty of people are working hard to make their financial dreams come true, one monthly budget at a time. Stay motivated to reach your budget goals by joining a community of budgeters and following EveryDollar on Facebook, Twitter, and Instagram!